Elegance as an attitude that brings people together, refinement as a synonym for experience, comfort absolute as a need for personal well-being that is also meant to be shared with guests: this is the feeling transmitted by the 2017 Black Tie collection. Soft and discreet elegance. 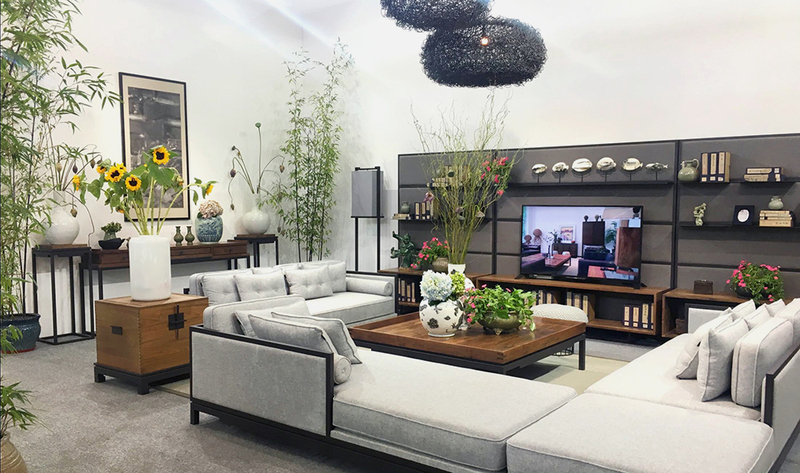 A masterly mix of renowned sofas, dormouse, poufs with innovative techniques, austere lamps and beaming interior design items used to integrate, adorn and make its collection of sofas and seating solutions even more comfortable, with perfect harmony and an elegant practical touch. minimal look and a tasteful retro feel. 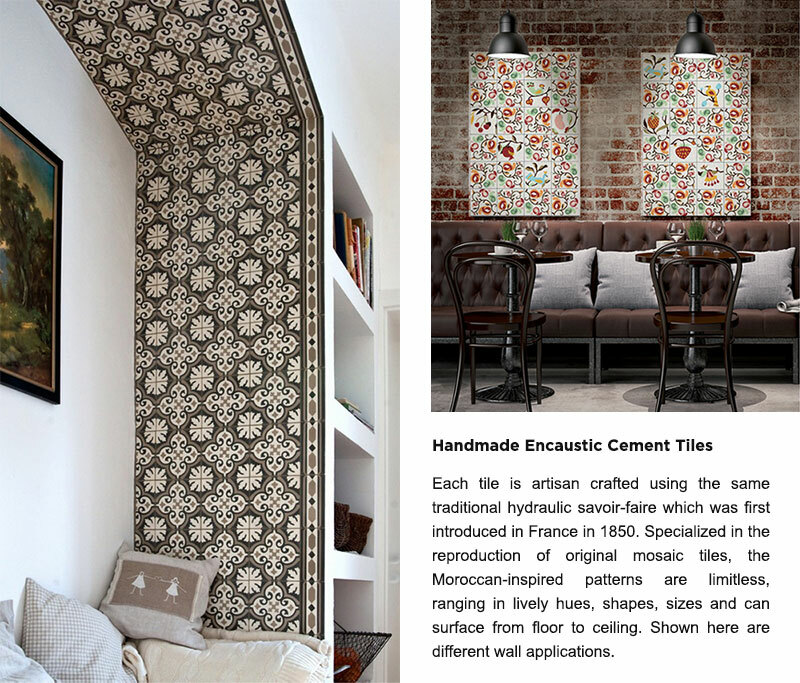 Looking for tried-and-true products made from traditional materials to decorate walls in creative ways? 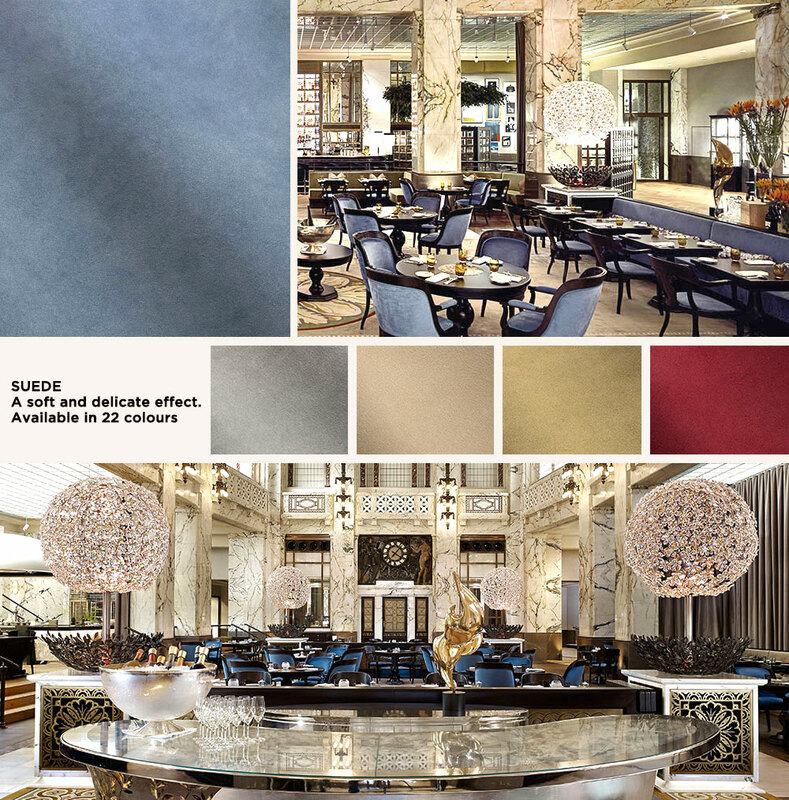 Thicas is sourcing and offering fresh, exciting options to create innovative approaches to surfaces around the entire interiors. This innovative interior decorative polished concrete floor planks has a smoked white oak, and a combination oak top layer backed on concrete. This attractive, real concrete finish shows the irregularities and characteristics of a typical polished concrete floor. 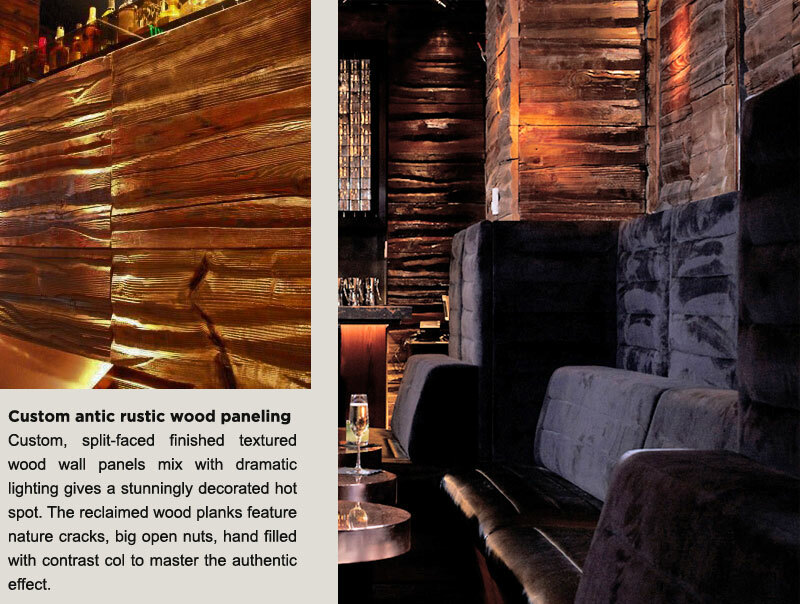 The planks are 120 x 30 x 1.4 cm, micro beveled and engineered to an exceptionally high standard. The Thinnest Concreate Wall Panel. 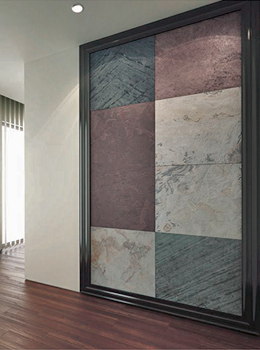 Concreate wall panels measure 120 x 60 x 0.4 cm and are very lightweight. They can easily be cut with a sharp blade and can be installed with Concreate Wall Adhesive on any flat surface. There are 2 layers of concrete. The base layer makes up 75% of the plank, which is magnesium oxide cement with layers of recycled textile. This gives the base a pliable strength. The top layer is a micro fiber concrete, air cured and finished with 3 coats of high solid natural oil. 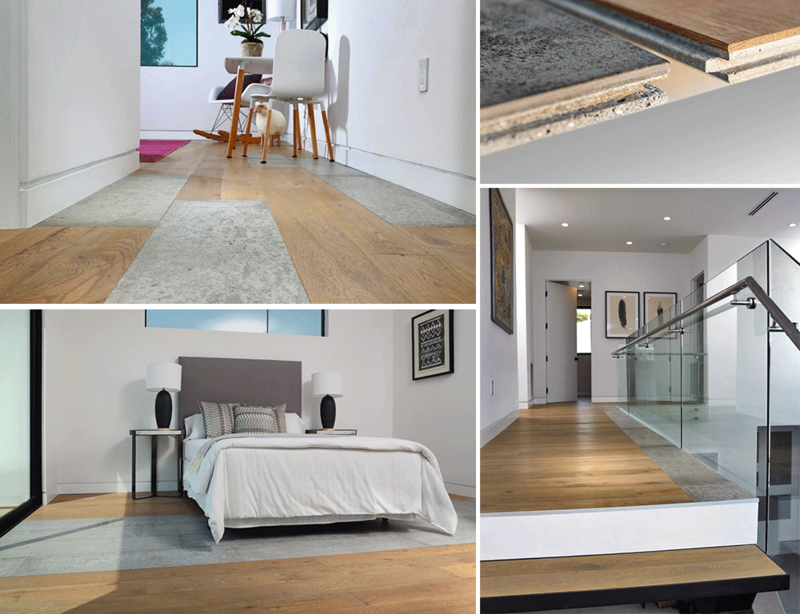 We took this innovation one step further by integrating a prefinished wood top layer mounted over the same mineral cement board that fits with the Concreate floor planks seamlessly. 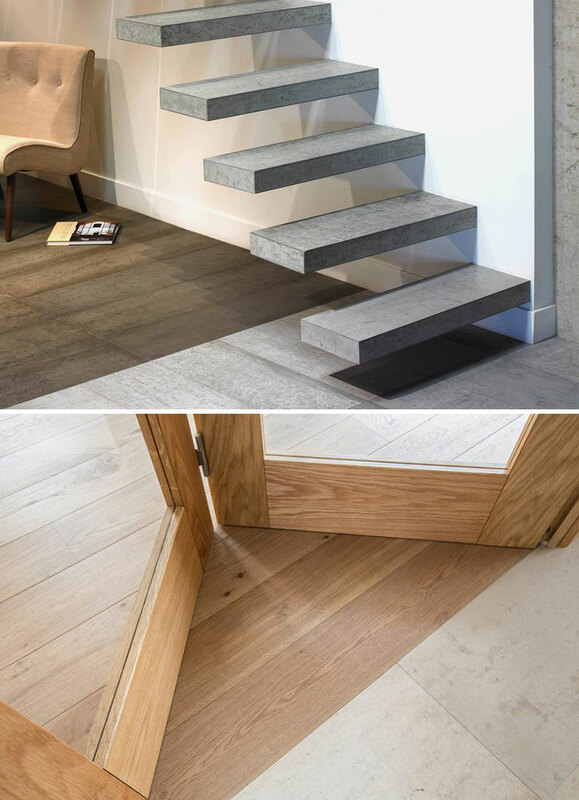 This creates the ability to combine both concrete and wood floor planks next to each other with virtually no offset. Smooth neat transition from Concrete to Wood floor planks. Fire & Water resistant, ideal for all rooms. Extremely durable and suitable for common areas. 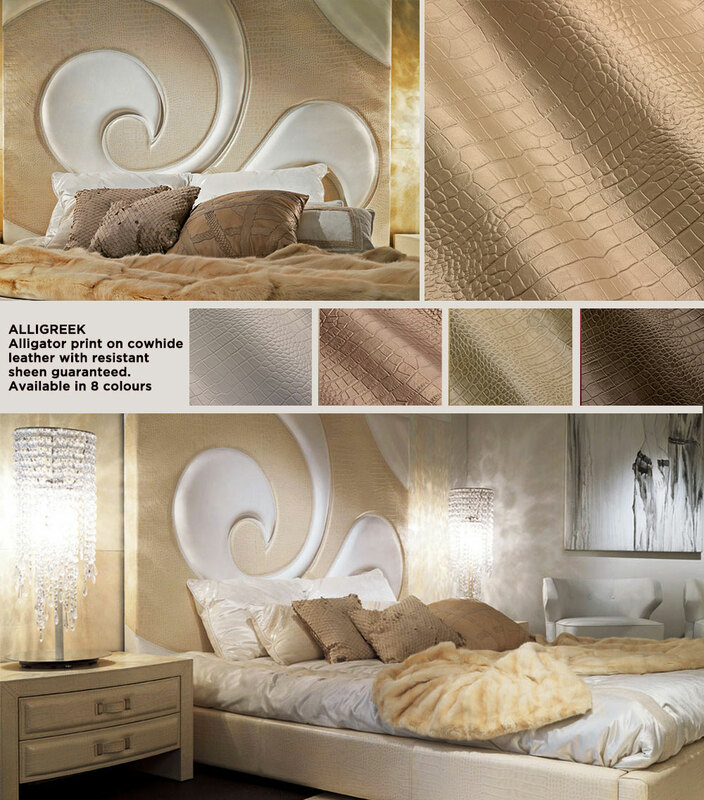 and sources suitable leathers for premium fitting outs. 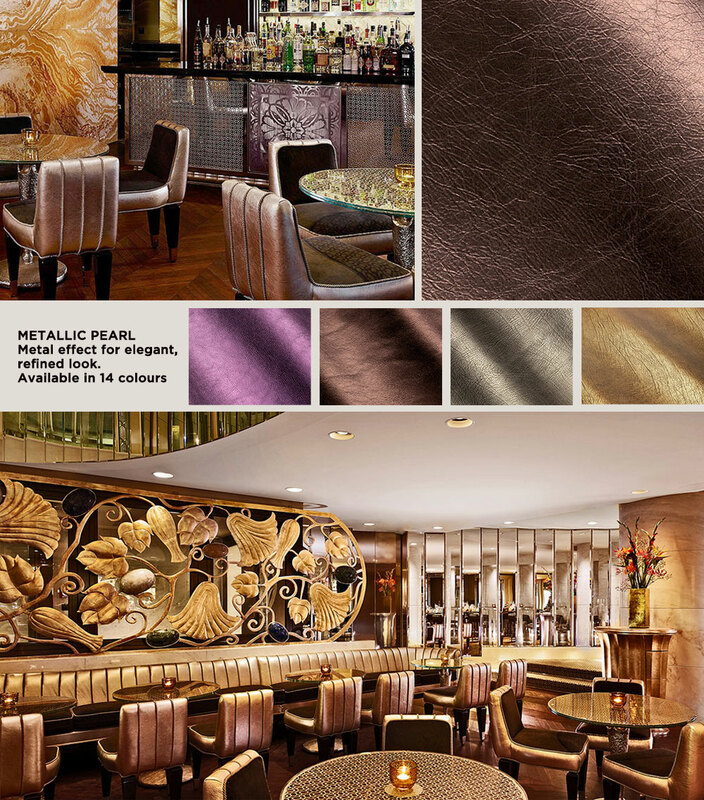 Passionate cultivators of design and project innovations, we source, select and recommend luxurious leathers in the field of furnishings for exclusive homes, luxurious hotels and yachts. 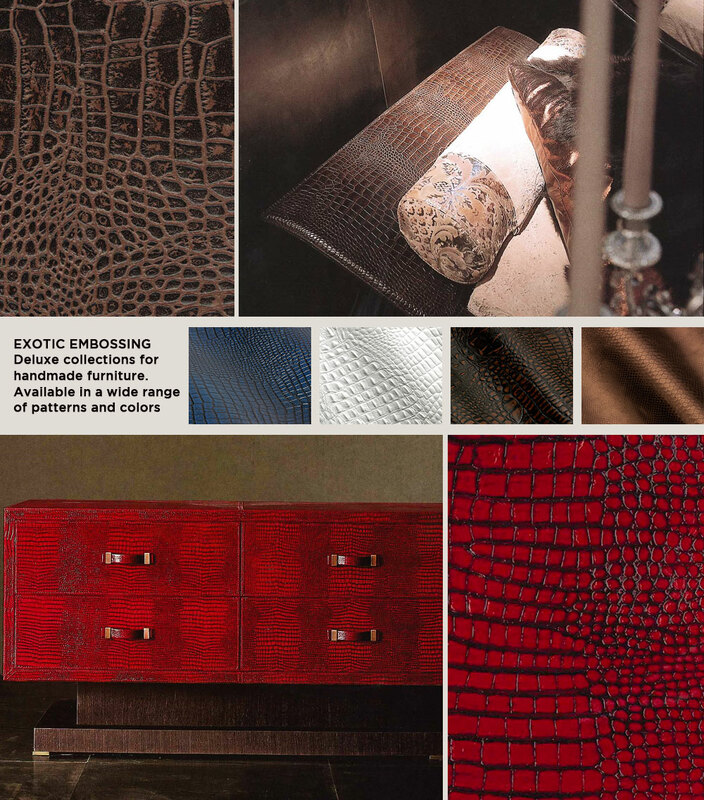 Partnering with manufacturers in Italy, where the leather is a product of culture, we are able to deliver not only a product of craftsmanship quality, but solutions for creativity, flexibility and personalization. 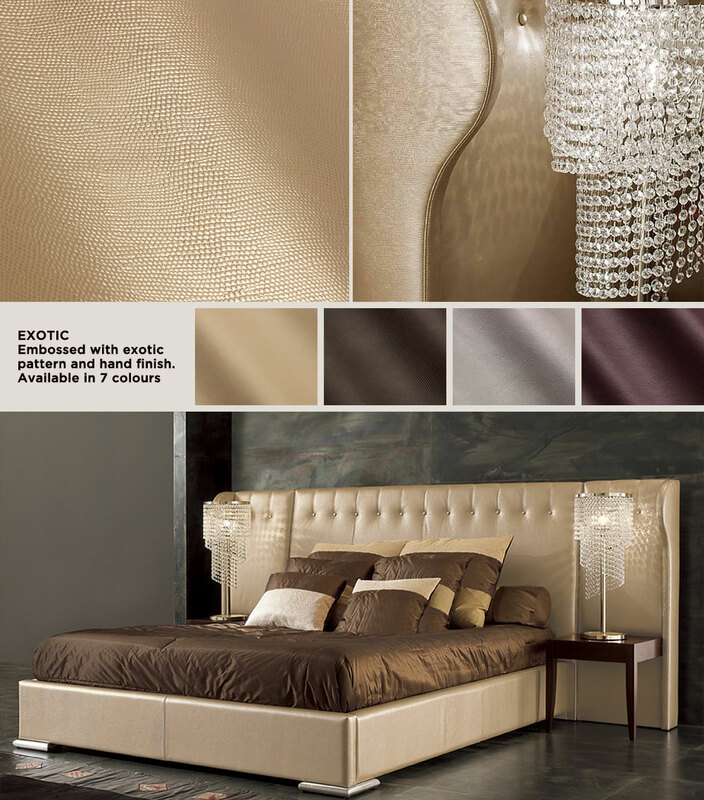 Discover the pleasure of a luxurious, soft and supple leather suitable for any expectations. 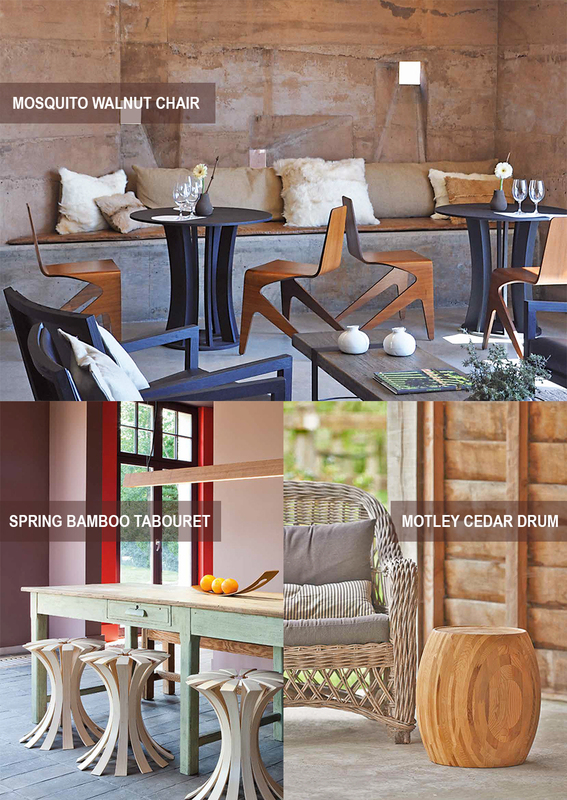 Multi-functionality, craftsmanship and the combined use of wood and leather is the soul of the WILDSPIRIT collection. All pieces are created by designers who convert innovative ideas into signature pieces. Through a deep sense of details, Wildspirit explores pure lines and playful shapes which empower each item to match all kinds of interiors, from minimalist to modern or classic to timeless. The beautiful PLAY chair is one of the most popular items. This elegant and contemporary chair is made from one piece of tree trunk, is easily stackable and really comfortable. 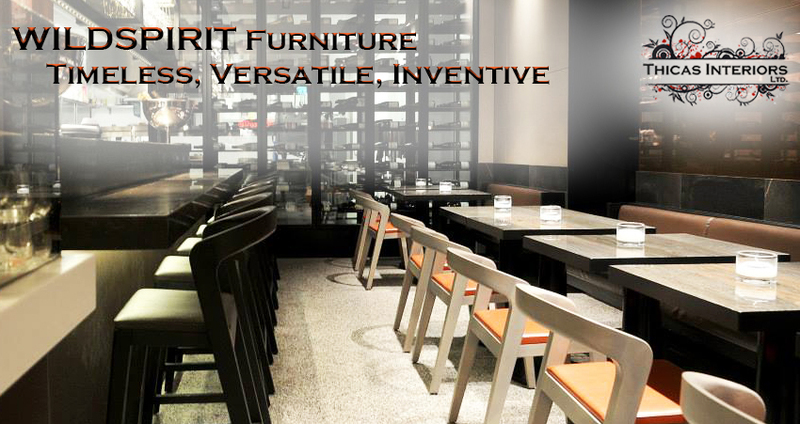 WILDSPIRIT creates refined design, especially shaped for places where people meet each other. The basic collection consists of stunning chairs, tables, stools and objects available in a variety of heights with infinite possibilities for customization. 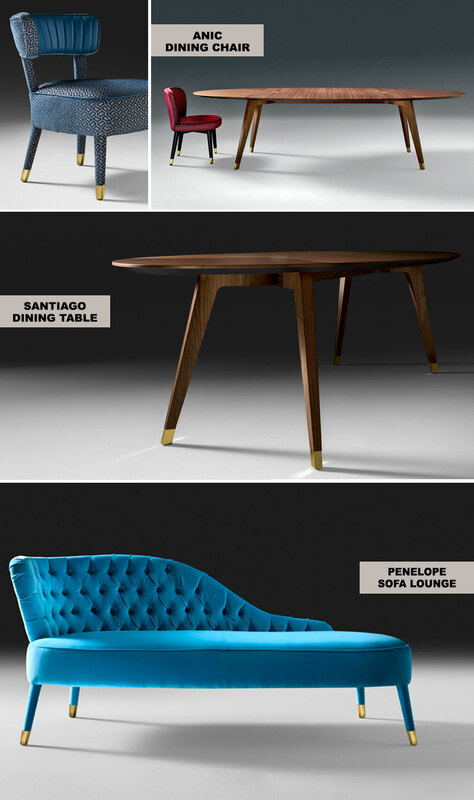 Choose the type of wood, match the fabric color or upholster any pieces to create your own style of luxury. ARCH is a dynamic and elegant chair combining simplicity and subtlety. 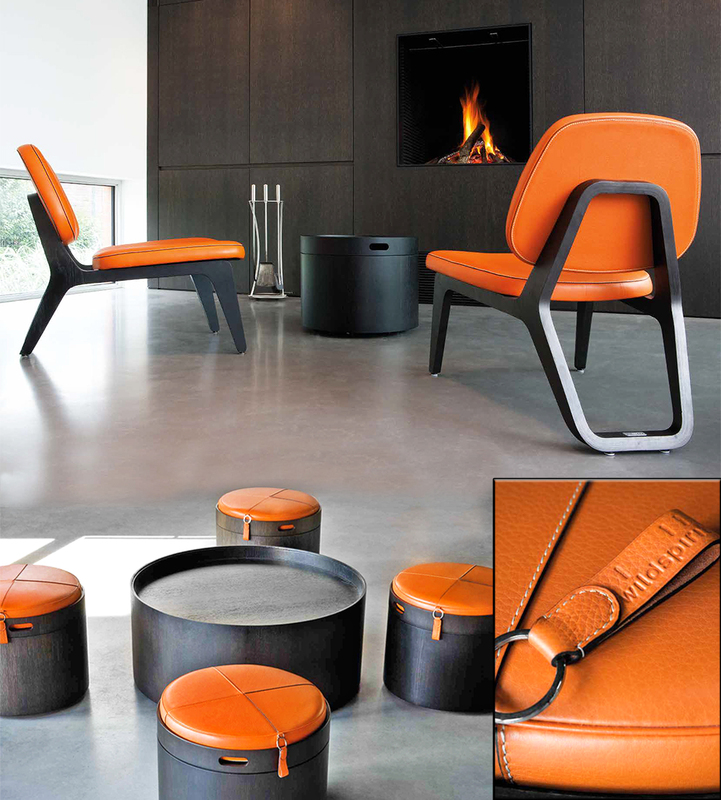 A rich and sinuous massive wood structure is combined with leather upholstered seat and backrest. 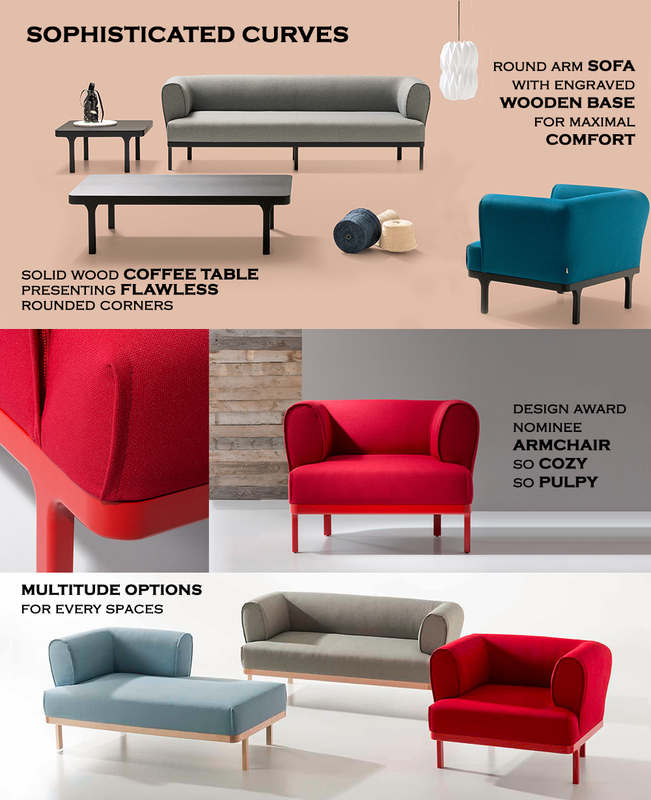 The unique identity of ARCH lays in its fine proportions and a soft sinuous line as well as in its inviting oval chip shaped backrest. Features such as assembly details and chamfers which run along its edges create slender surfaces onto which light gently shines. ARCH comes with or without armrest, both of which are stackable. 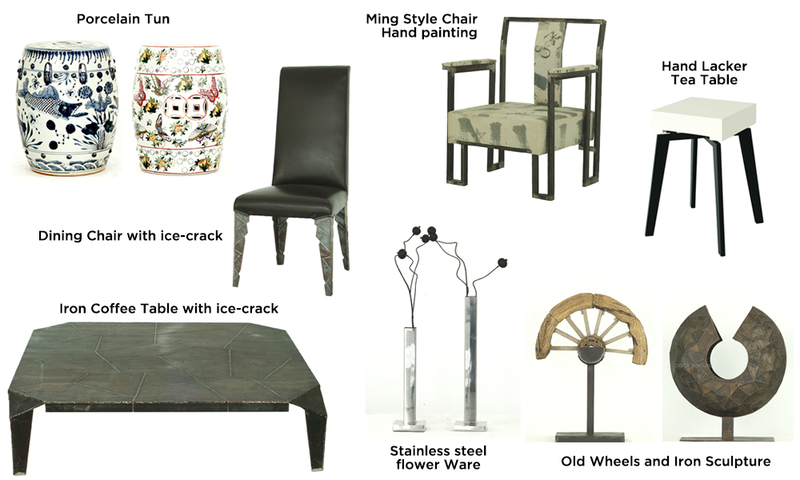 Thicas presents our selection of designer furniture inspired by Oriental spirit and nature to create a peaceful and well-being harmony at home. 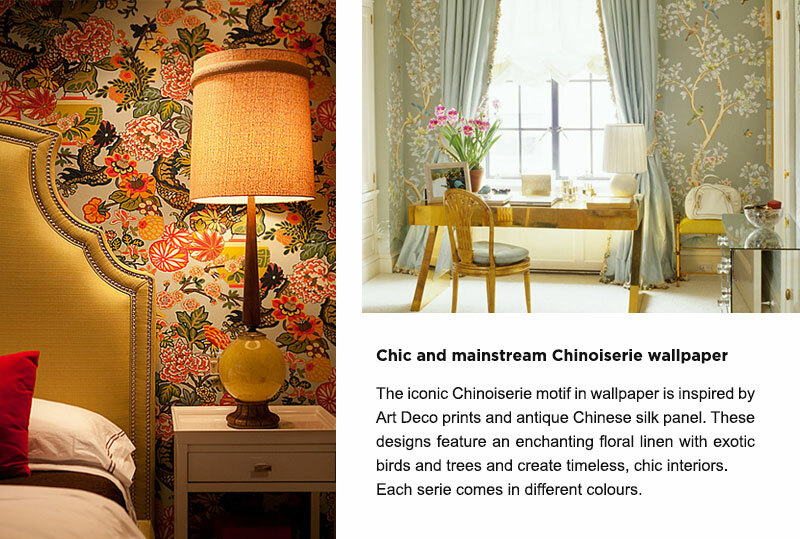 Explore a unique mix and match furniture, accessorize and lighting which emphasize the Chinese influences, culture and spirituality within every interiors. So Chic Black & White. We aim to a constant search for tasteful and snug shapes, flawless finishes, noble materials and a meticulous crafting, to give life to sustainable pieces. 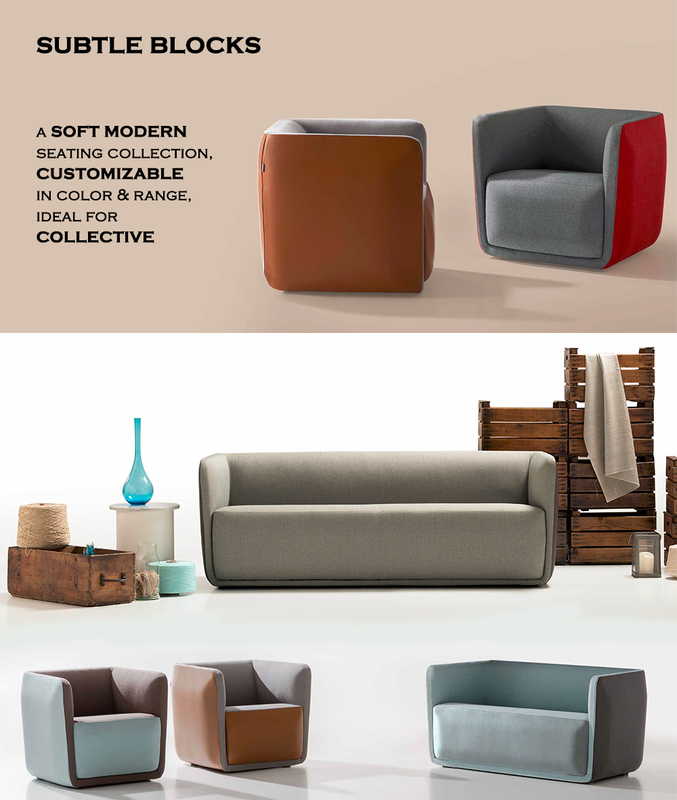 Intended for furnishing and decorating spaces, our handmade sofa and armchair selection is dedicated to relaxing and lounging, while combining durability, coziness and functionality. 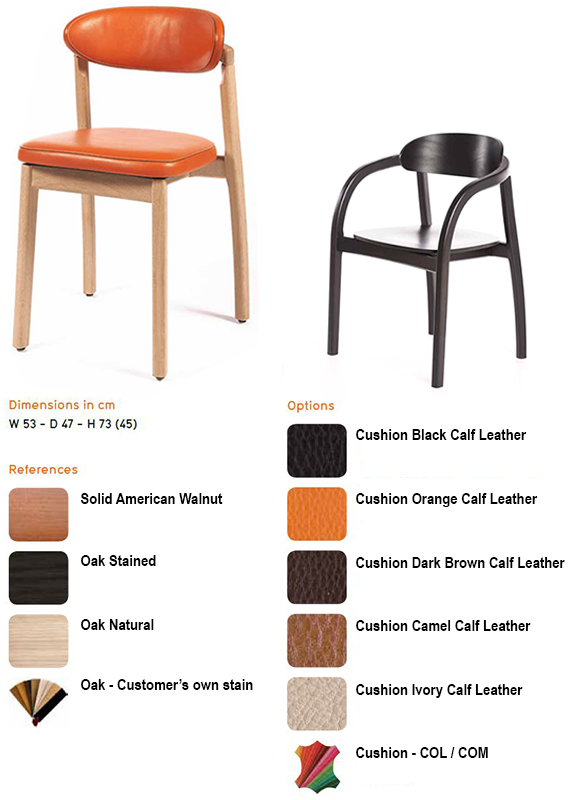 With a wide range of fabrics, leathers or synthetics, the Sophisticated Curves Collection can also be combined with different woodbase finishes lacquer or natural and matching or contrast color zipper hidden bindings. 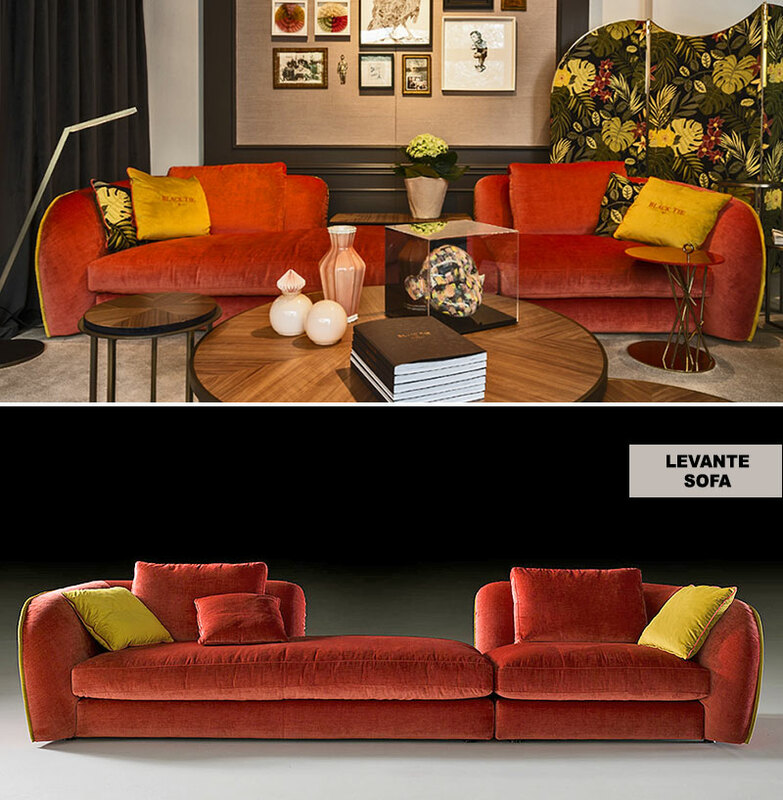 It is produced in different options to match every mood ideas according to the space: Amrchair, Love seat, 3 Seater sofa and Meridienne. 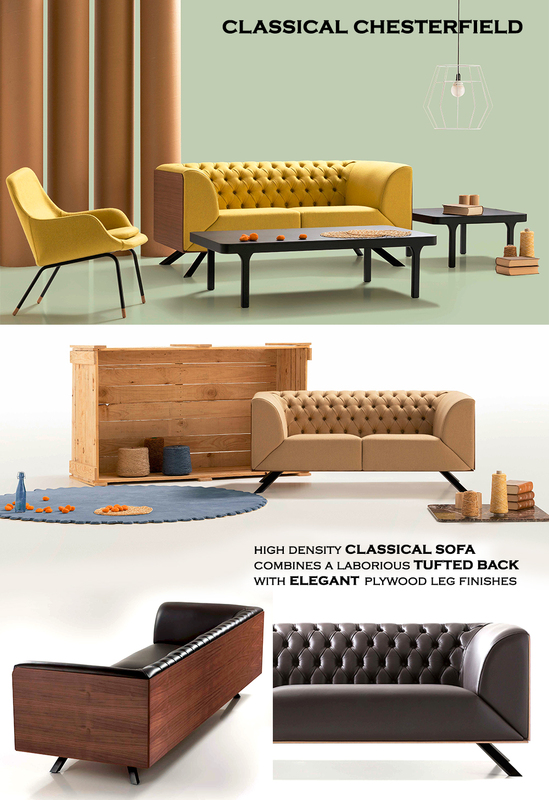 The Classical Chesterfield sofa collection is presented in a solid wooden board, with American Walnut veneer, together with black lacquered iron feet. 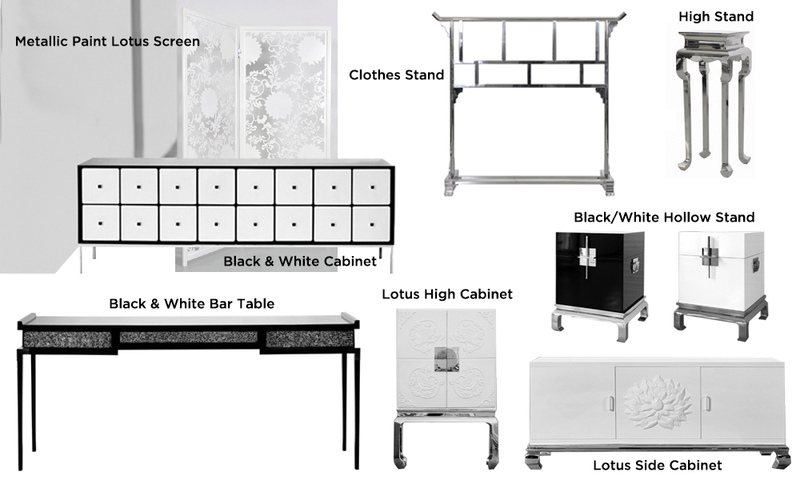 Classic details meld with contemporary design for an elegant touch, to perfectly fit all kind of facilities, waiting room, reception areas, home space. 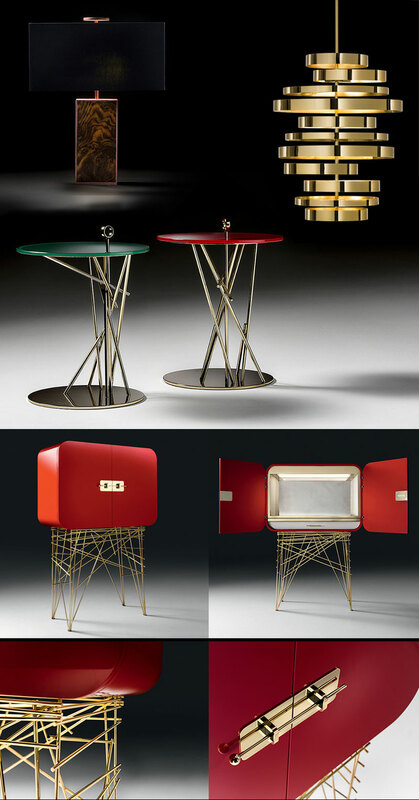 Each of these modern pieces can be personalized in one solid color, or blocked in two colors whether exterior and front in one color and interior in contrast or exterior fabric different from inner one. Creating a unique product made to order to meet the customer’s needs and space. 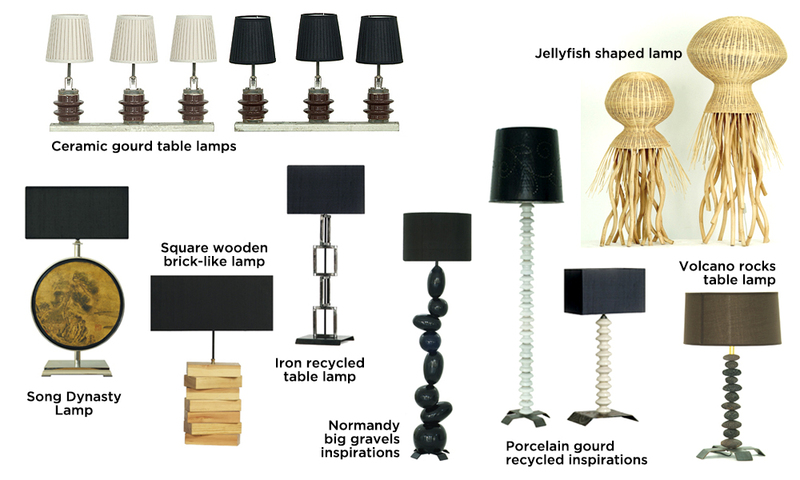 with a selection of stunning contemporary designer pieces. 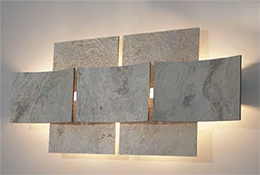 Nothing makes a space feel more authentic than an enticing display of art. 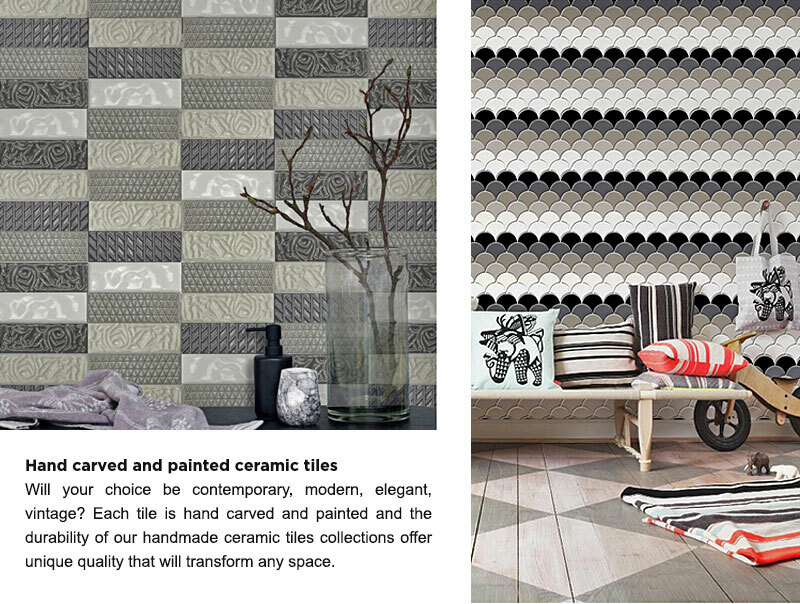 it can enhance your interior design by adding layers and visual interest. 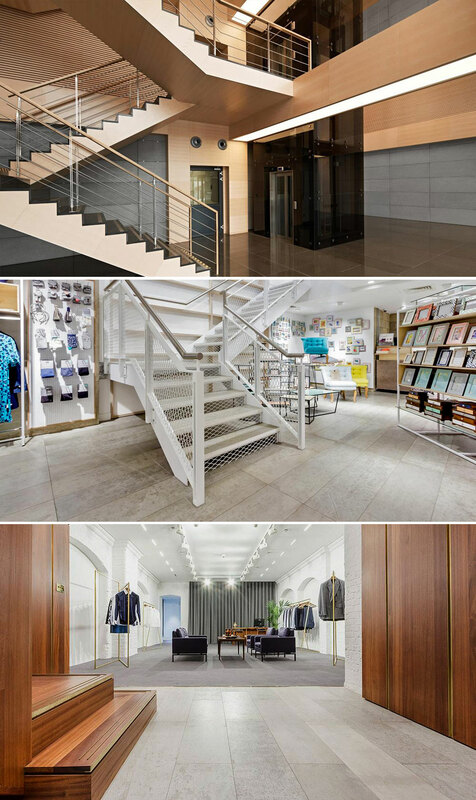 Thicas provides solutions with standard and bespoke decorations for indoor and outdoor projects. 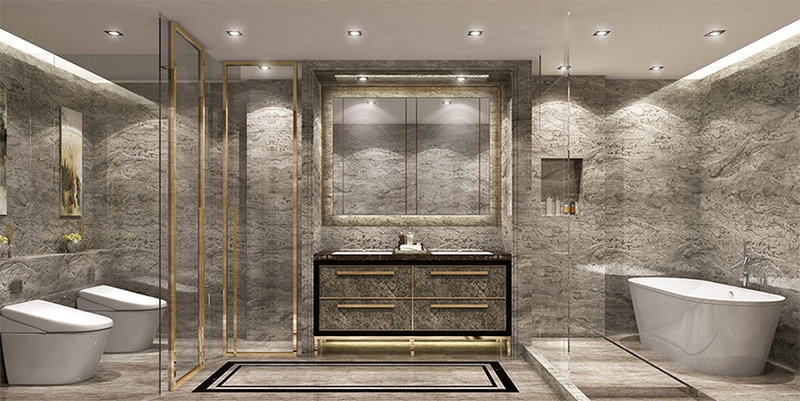 Working closely with our network of Interior Designers, Architects, Property Developers, Hoteliers, Contractors and Purchasing Companies, we source, design, manufacture and deliver medium to high-end decoration items. Most of our products are custom made and we are exclusive distributor for a wide range of flooring, furniture and finishes. 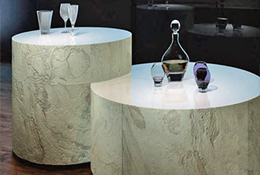 Smart stylish stone coverings expert creates natural stone veneers by transferring the stone layer on to a transparent fiberglass sheet, using a strong adhesive. The translucent and natural solution looks stunning and can be apply on a multiple kind of materials and supports. 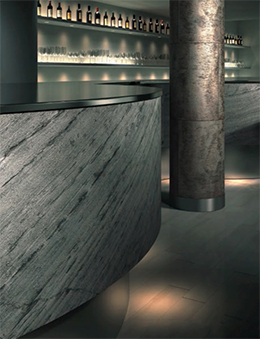 Flexible, light and thin stone veneer made from the combination of natural stone and German patent technology. 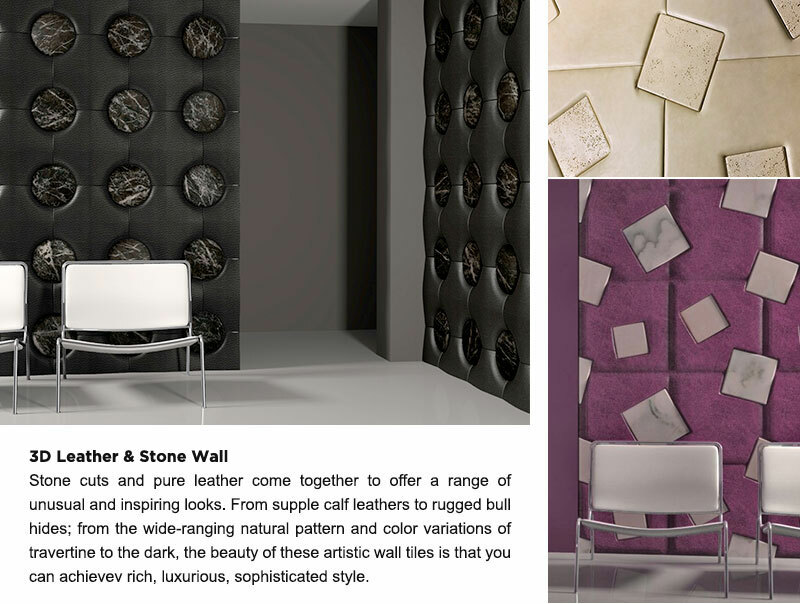 Extremely versatile in use and easy to install, the benefits of this innovative material include unlimited application possibilities for retail display, decorative accents, wall and furniture covering. The unique pliability attribute allows the veneer to easily cover curved shapes as well as large and small surfaces. Besides, it possesses water, sun, thermal resistance properties and creates tough moisture barriers to last high quality. Veneer sheets are made from natural stones using all the unique colors and textures found in every layer of these sedimentary stones. Accordingly, each sheet of S-Tilestone will vary in color, texture, hue and pattern the same way natural slates and micas do. 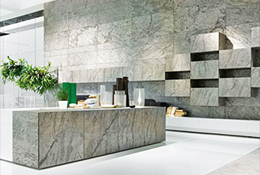 Since it is a natural stone veneer, color and texture variances are not defects within the material, but are inherent to it and reflect its natural beauty. 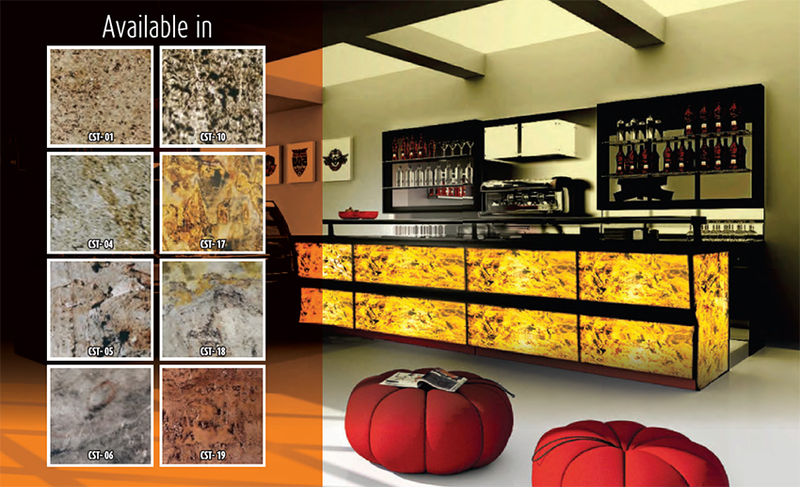 We offer the possibility to custom design the color, pattern and texture of the veneer.